We are a volunteer organization. We have no paid positions. Please help us to advocate for our community. CAAN respects your anonymity completely. PayPal will send us a notice of donation that includes your e-mail address. 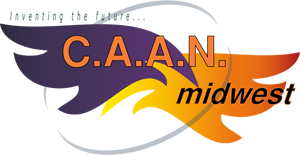 CAAN will send you a thank you note. If you meet a certain threshold we will send end of year tax information. If you make a note on PayPal "do not contact" we will not store your e-mail address nor will we send end of year tax information. Because this is the donation page you will notice that the lock in the address bar is in red or has a red line. When you click onto the paypal or bitcoin bitpay link the address bar will be green. We are in the process of collecting a discrimination survey. This is a CAAN project. We are using your answers to help us decide what area we need to focus on in advocacy. The survey is quick, only 10 questions. What was/is your experience? take it now. En Espanol, haga clic en el enlace aquí.